Do we need a Certified Kentucky Honey Label? The idea of a Certified Kentucky Honey label was brought up at the June business meeting of the Kentucky State Beekeepers Association. At the meeting we created a Honey Marketing Subcommittee to pursue the idea further. A couple of weeks ago, we met with members of the Kentucky Department of Agriculture to begin talking about what a Certified Kentucky Honey label might entail. We came up with some preliminary ideas, but we really want to know what you and other beekeepers from across the state think about the idea. We also want to know what our consumers think about the idea because we know that if we decide to implement a Certified Kentucky Honey label then we’ll need the support of both beekeepers and consumers. To gather input from beekeepers across the state and input from honey consumers in the state, I volunteered to produce two surveys. The beekeeper survey is our August survey. It can be found below or at this link https://www.surveymonkey.com/r/VSSXM97. Please take the survey and share it with every beekeeper in the state that you know. The next meeting of the Honey Marketing Subcommittee will be on August 22 at the State Fair. I, therefore need all responses back by Aug. 19 so I can share the responses at the meeting. I would love to have well over 100 responses to report. As always, all responses are anonymous. The second survey is for honey consumers in the state. We are working on the logistics for gathering responses at the Kentucky State Fair Honey Booth. You can also access the consumer survey at this link http://www.ksbabeekeeping.org/certified-ky-honey-label-consumer-survey/. 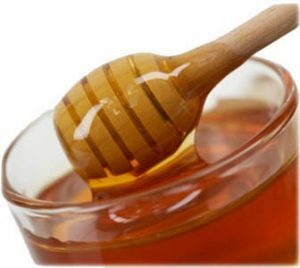 Please share it with all your honey customers and friends who love honey. I’ve also created a pdf of the consumer survey that can be printed for people who may not have easy computer access and a flier with the link that can be printed and handed to customers at farmer’s markets or similar events. The flier is designed to be cut into thirds so each sheet makes three fliers. I would like to have the responses for the consumer survey back by Aug. 31. If you have any questions about the surveys or the Certified Kentucky Honey label, please contact me. I’ll be posting more information about the subcommittee and our meetings soon, but I wanted to get the surveys out first so everyone has as much time as possible to give us your input. Everyone on the subcommittee is looking forward to hearing what you think about this idea. Thanks in advance for participating in the survey and helping us share it with as many Kentucky beekeepers as we can possibly reach.